Ham on the edge of a knife on a white background. 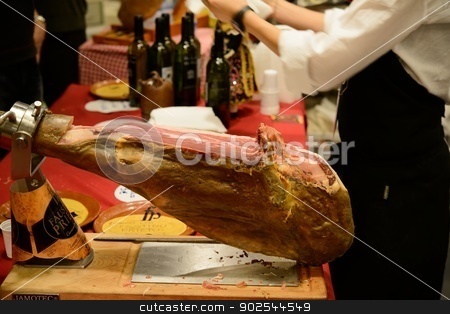 Jamon serrano in cuisine. Dry cured Spanish ham.